Skiing enthusiasts traveling in Japan should consider a trip to Hakuba-mura: tucked away in the Northern Alps, this village hosted several competitions during the Nagano 1998 Winter Olympics. Matsumoto Castle and Zenko-ji Temple are good opportunities to explore the local culture. 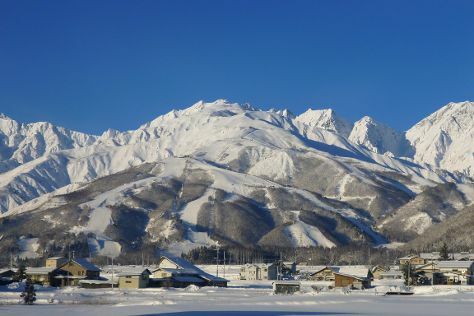 Take a break from the city and head to Nozawa Onsen Ski Resort and Hakuba Happoone Ski Resort. Take a break from Hakuba-mura with a short trip to Kaichi Gakko Primary School in Matsumoto, about 1h 35 min away. Next up on the itinerary: fly down the slopes at Hakuba, snap pictures at Hakuba Ohashi Bridge, relax and rejuvenate at some of the top local wellness centers, and admire all the interesting features of Happo-one Nature Study Course. For reviews, maps, other places to visit, and tourist information, go to the Hakuba-mura online road trip planner . Kuala Lumpur, Malaysia to Hakuba-mura is an approximately 15.5-hour flight. You can also drive. The time zone difference moving from Malaysia Time to Japan Standard Time is 1 hour. Prepare for much colder weather when traveling from Kuala Lumpur in March: high temperatures in Hakuba-mura hover around 11°C and lows are around 3°C. Wrap up your sightseeing on the 27th (Wed) early enough to travel to Tokyo. Your cultural itinerary includes sights like Ginza and Harajuku Takeshita-dori. Do your shopping at Asakusa and Kimono Me. 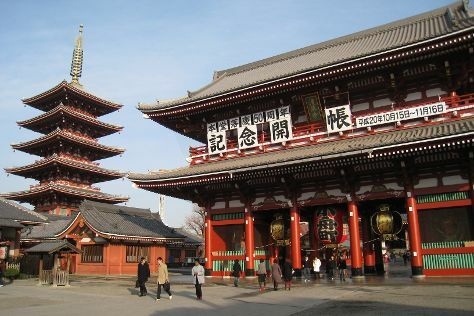 Next up on the itinerary: take in the spiritual surroundings of Senso-ji Temple, take a stroll through Akihabara, admire the striking features of Tokyo Tower, and explore the world behind art at Tokyo National Museum. To see ratings, traveler tips, maps, and tourist information, you can read our Tokyo road trip tool . You can do a combination of bus and train from Hakuba-mura to Tokyo in 3.5 hours. Alternatively, you can drive; or take a train. Expect a bit warmer temperatures when traveling from Hakuba-mura in March; daily highs in Tokyo reach 17°C and lows reach 7°C. Wrap up your sightseeing on the 31st (Sun) to allow time to travel back home.